But gamers will "embrace" it if they use it. Microsoft isn't forcing developers to incorporate ten million selling motion sensing add-on Kinect into their games, it's insisted. But Microsoft believes that if developers do make their games Kinect-enabled, gamers will "embrace" them. That's the verdict of Dennis Durkin, Corporate Vice President and Chief Operating and Financial Officer of Microsoft's Interactive Entertainment Business, who told Eurogamer's US brethren IndustryGamers that developers are now "experimenting" with multiple control methods for their games. "I don't think we're trying to put any input paradigm, enforce that on anyone, unless it's better," he said. "We're not trying to force anything. If people want to do it and they think it enhances the experience, I think consumers will embrace it and they'll do it, but that's the bar that they'll expect. "And there will be a bunch of experimentation, some of it will work and some of it won't. The things that work, people will emulate and they'll chase and the things that don't, people will try other experiments." 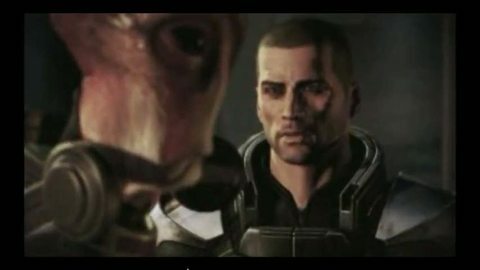 At E3 last month Microsoft announced a raft of Kinect-fuelled Xbox 360 games, including Mass Effect 3, Minecraft, Ryse and Fable: The Journey. The list of games is evidence, Durkin said, of experimentation within development. "You're seeing experimentation with voice. You saw it with gunsmith inside the Tom Clancy world, which used both voice and gestures. And you saw head tracking inside of Forza. "So there's all this experimentation that's happening across that spectrum, and all those people are trying to make whatever experience it is - whether it's a soldier's experience in Ghost Recon, whether it's a driver's experience in Forza... whatever kind of experience it is, it's just to try to make that experience better and easier for that user." Suggesting Molyneux's legacy is about to make a comeback. Microsoft expects less than 10% of workforce will be let go.